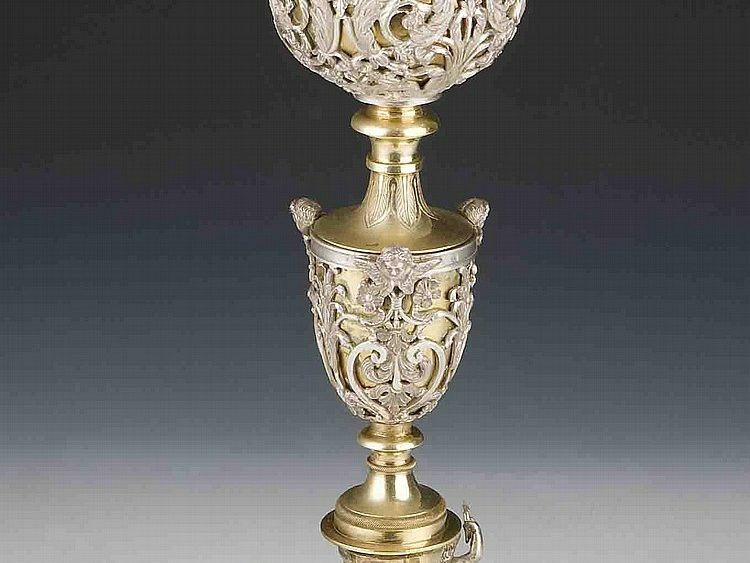 The chalice is a very ornate and beautiful artifact that dates between the years 1814 and 1870. 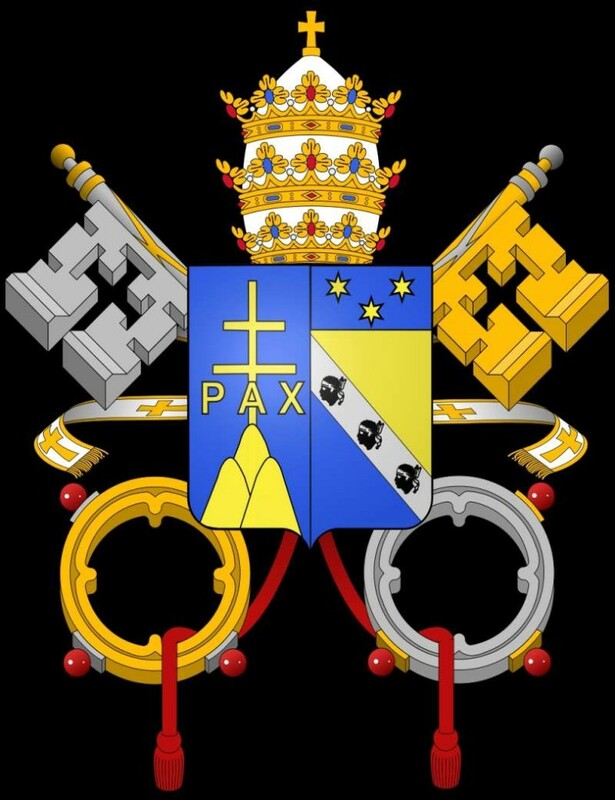 Unlike the chalice belonging to Pope Leo XIII, it does not have a particular pope’s coat of arms. And so we can only surmise that it was used by a pope, but we know it was used in service of the pope because of the maker’s mark located on the lip of the chalice and in two additional places on it. 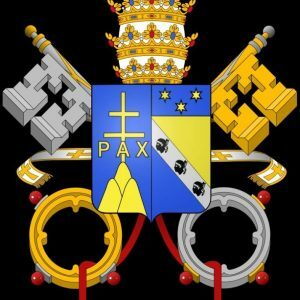 So what is a maker’s mark when connected to the papacy? Every metal worker, jeweler, and medal maker or silversmith add maker’s marks to the items they create. 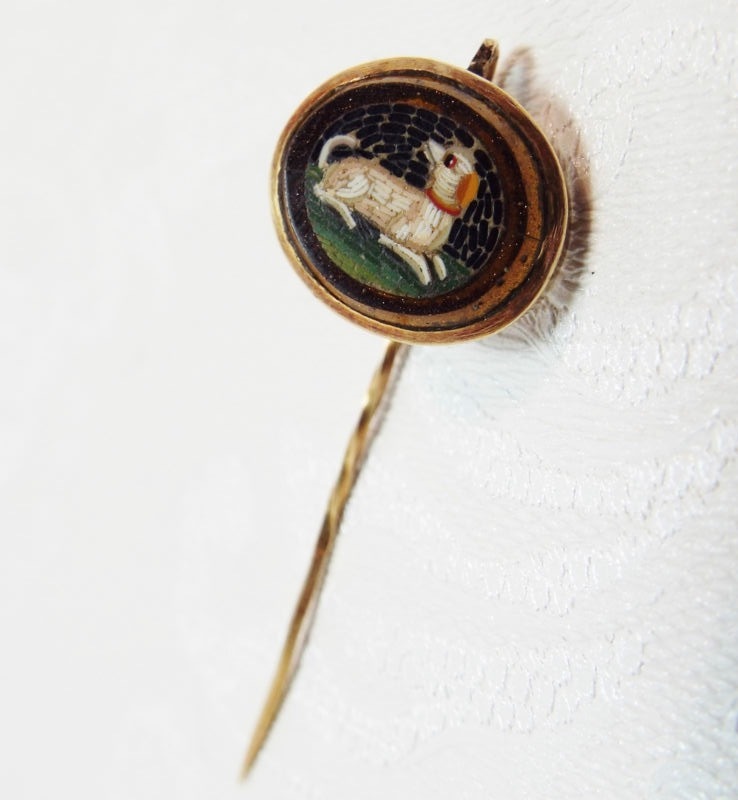 This practice also allows us to identify the time period in which the item was created. 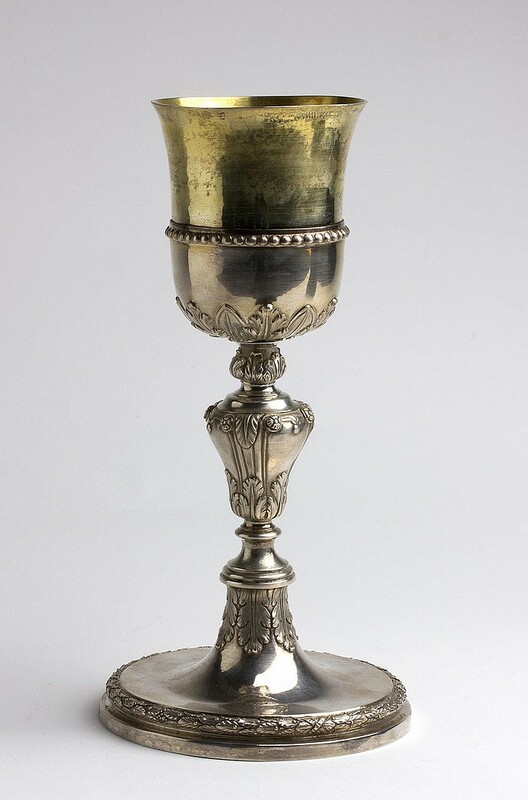 This chalice indicates it was made between 1814-1870 because it has a maker’s mark of the cross keys and tiara–a very, very tiny mark in this piece of metal. This was just to show it was made in service to the Holy Father. 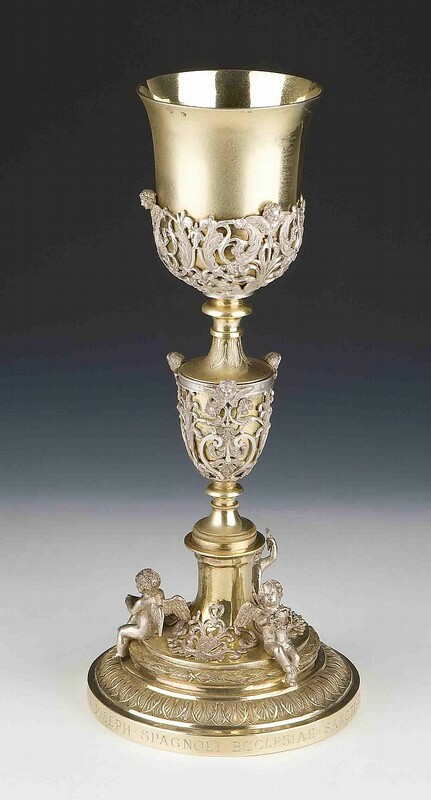 In the case of this chalice, it was added to the lip, the middle and the base. On the base, the name of the priest who gave this chalice to St. Charles’ Church is also included. 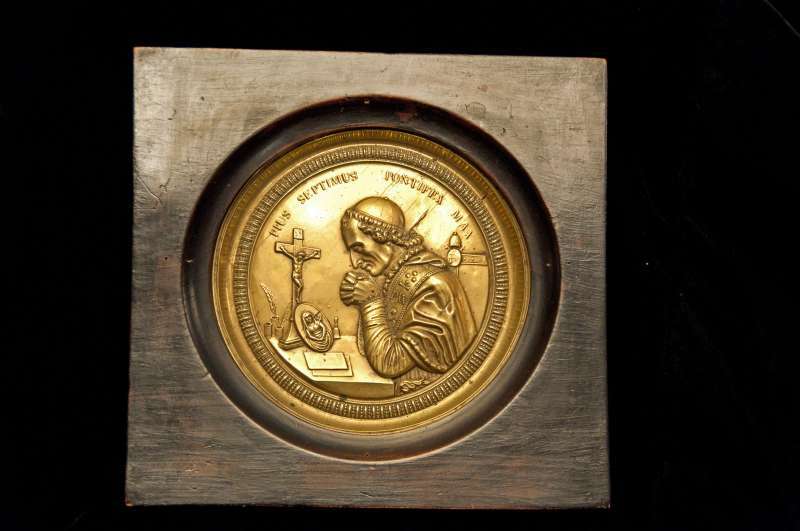 Beginning in 1814 fine metal artists in the Papal States used this particular maker’s mark. Napoleon Bonaparte had released Pius VII from custody after nearly four years. Jubilation was so great in Rome upon his release that the artists started putting this maker’s mark of cross keys and tiara on their works in honor of the Holy Father’s safety. That practice continued until 1870 when the Papal States were taken over by United Italy. There is no indication that any one particular pope used this chalice, but the symbol of the cross keys and tiara maker’s mark deem this totally appropriate for this allows us to identify the time period in which the item was created. Pope Pius VI died in exile as a prisoner of Napoleon in August of 1799. His emergency plan was for the next conclave to meet in Venice, which was free from French control and under the protection of the Holy Roman Emperor. Thirty-four cardinals gathered in a Benedictine monastery outside of Venice. The emperor bore the expense of the conclave in an attempt to influence its outcome. It was only due to the eloquence of the secretary of the conclave, Bishop Ercole Consalvo that Chiaramonte was unanimously elected after more than three months’ deliberation. He was fifty-eight years of age and would rule as Pius VII for twenty-three years. Although he took the name of his predecessor in solidarity with his suffering, he was very different from him. 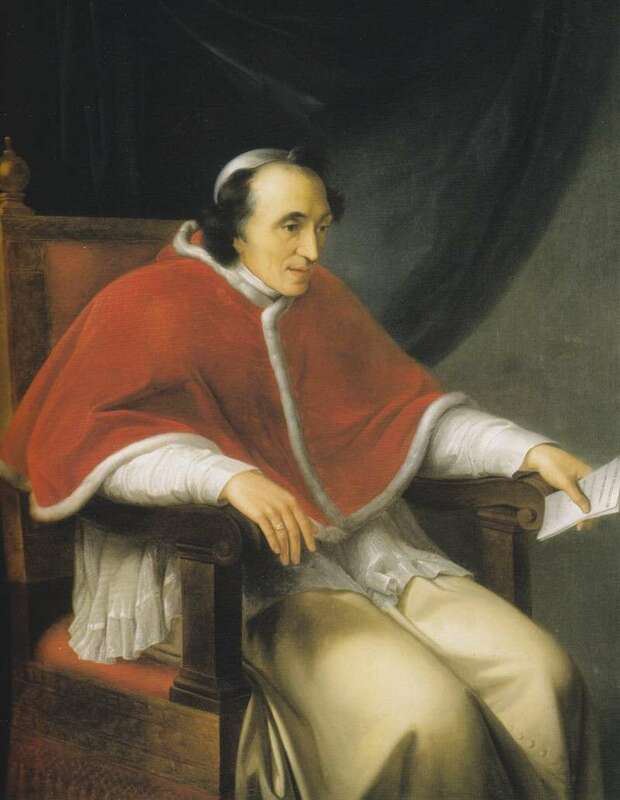 Pius VII was considered to be modest, unassuming and realistic about the changes in a new and modern world. While resolute in all things Catholic, he was willing to bend when necessary. 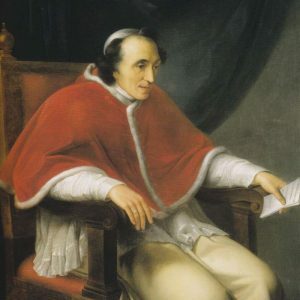 He was fortunate to be blessed with able advisors, the most important of whom was his Secretary of State, (now) Cardinal Consalvi who proved to be a brilliant statesman and remained with Pius VII in different capacities throughout his entire papacy. Pius proved to be capable of appointing many able advisors who contributed immensely to the success of his papacy despite the political challenges imposed on it by the rule of Napoleon.